The U.S. Women’s Open Championship trophy will be on display throughout the weekend near the 10th tee. Take a picture with the trophy, putt for prizes and experience interactive elements of this year’s U.S. Women’s Open before it comes to Charleston from May 28-June 2. Explore the Official Style of the RBC Heritage at the new Southern Tide Pop-Up Shop near Heritage Lawn. You’ll find premium men’s and women’s apparel inspired by the colorful coast perfect for on the green or the 19th hole. The GEICO Golf Tent provides a new and unique experience, including PGA Tour player meet-and-greets and an opportunity to test your short game for the chance to win a wedge, a GEICO Gecko headcover, and other prizes. The popular Patriots’ Outpost, dedicated to our military and their families, has a new, expanded location at the 7th hole. This year’s Outpost will feature a “Mess Hall” food and beverage tent with an outdoor viewing area, as well as an open-air viewing area to watch PGA Tour pros finish out this exciting par-3 hole. The Patriots’ Outpost is open from Thursday-Sunday with food and beverage provided by Panera Bread. Plantation Golf Club, 9 a.m. - 4 p.m.
Plantation Golf Club, 9 a.m. – 4 p.m.
Harbour Town Golf Links 18th green, 10 a.m.
Pro-Am Registration — Plantation Golf Club, 9 a.m. – 1 p.m.
PGA Tour Pro Meet and Greet with Plaid About Reading Winners, 2-3 p.m. 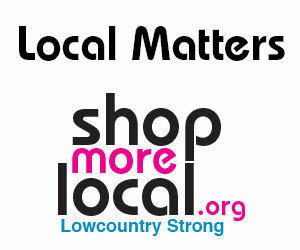 Champions Ballroom, Harbour Town Clubhouse, 5:30-7:30 p.m.
on the Heritage Lawn, Noon – 2 p.m.